The development of sustainable mobility and transportation draws increased attention in the development of a smart city. Mobility and transportation development is being carried out with lightweight electric buses and integrated advanced driving control systems. Several free-of-charge, quick-charge posts support the usage of electric and hybrid cars. Electric cars are already used in the elderly care services provided by the City. Finland’s first robot parks have been piloted in Lahti. The best located parking spaces in the carparks in the city centre are reserved for low-emission cars. Growing use of locally produced biofuels brings the opportunities of circular economy to the world of driving. 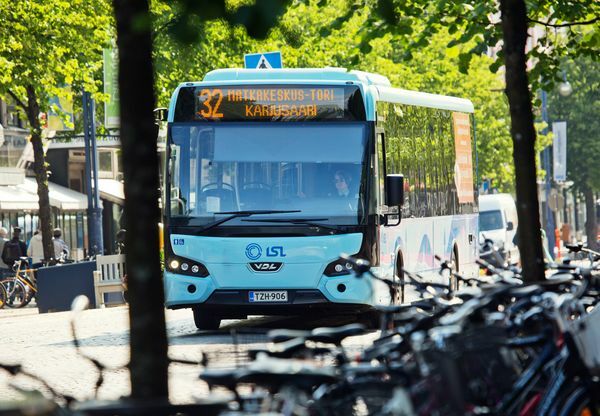 Open data opportunities in public transportation are being exploited by Lahti Region Transport (LSL). Free service data means time saved travelling and dynamic journey planning for all. The option to use mobile payments to pay for parking and other mobility related services is becoming more frequent. An increasing number of consumers are using easy-to-use and secure parking payment apps.